This is such a fantastic mention. Thanks to the crew of “Cracking the Spine” for reading and supporting independent authors. Check it out. Gypsie guested on the PageBacon writers podcast! Listen to the episode to hear her read a selection from the book, discuss past works, her process, and the future of Soolie Beetch. 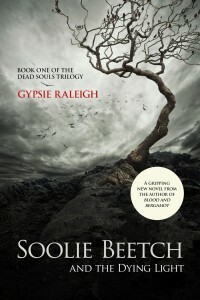 I’m thrilled to announce that Soolie Beetch and the Dying Light is now available from Amazon! You can read it on any device, even if you don’t own a Kindle. The book also makes a great holiday gift and stocking stuffer for all the readers you know. Thank you SO much for all of your support. I hope you love the story!